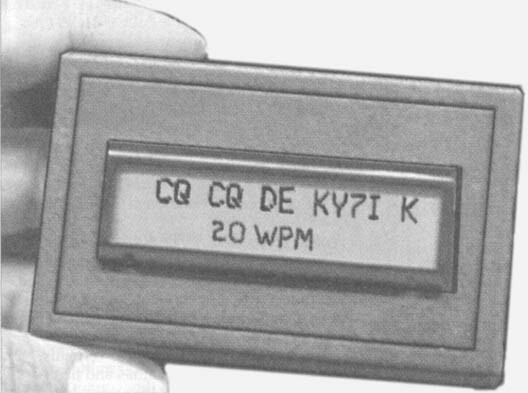 The MFJ-461 Morse Code Reader lets you watch Morse code signals turn into text messages. The words simply scroll across the LCD display. No cables to hook-up, no computer, no interface, no other equipment needed! Use it as a backup in case you miscopy a few characters. It makes working high speed CW a breeze -- even if you're rusty. Practice by copying alone with the MFJ-461. It will help you learn the code and increase your speed as you instantly see if you're right or wrong. Eavesdrop on interesting Morse code QSOs from hams all over the world. It is a universal language that is understood the world over in all languages. MFJ AutoTrak automatically locks on and tracks CW speed to decode high and low speed Morse code. The most recently received 140 characters are buffered and can be instantly replayed. This lets you re-read or check your digs out weak signals and even tracks slightly drifting signals. Of course, nothing can clean up and copy a sloppy fist, especially with a weak signals with lots of QRM/QRN. The MFJ-461 has a 2-line LCD display with 32 large 1/4 inch high-contrast characters. You can display decoded CW as text and speed or switch to all text on both lines. Yet it is small enough to fit in your shirt pocket with room to spare -- it's smaller than a pack of cigarettes and weighs less than 5.5 ounces. A serial port lets you display CW text on a monitor using a computer and terminal program. (The cable is optional, see below). 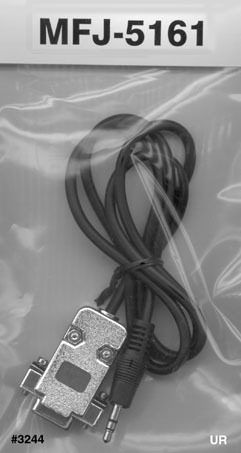 When it's too noisy for its microphone pickup, or when you don't want to hear CW you can connect the MFJ-461 to your receiver with a cable (not provided). A special battery saving feature puts it to sleep during periods of inactivity. This device requires a 9-Volt battery (not included).